The first historical record of Ishinomaki is set in the 4th Century (recorded as the 55th year of the reign of Emperor Nintoku), in which it is written that a military leader, General Tamichi, was killed in battle during an attempt to subjugate the people of the area on orders of the emperor. Ishinomaki is referred to here by an older name, Ishinominato, in which the characters for <water> and <gate> are included.This word is currently read as <suimon> and now means floodgate or sluice, but at that time was used to mean <minato> or port. Afterwards, it is recorded that in the 12th Century the area was made the territory of the Kasai family by the Kamakura Shogunate (military govemment), during which time it prospered. At this time the city was already being referred to by its current name of Ishinomaki. This name is thought to be derived from the title of a large boulder in the Kitakami River running through the city. The name of this boulder is <Maki-ishi> or swirling stone for the current that flowed around it, hence leading to the name Ishinomaki. In the 18th year of the Tensho period (1590), the region became part of the province of the Date family as ordered by the Tokugawa Shogunate, during which time the Sant Juan Bautista ship(sorry it's only Japanese) set sail for Rome from a small fishing village named Tsukinoura. After the Meiji Restoration of 1868, the territory of the Date family became Miyagi Prefecture, in which Ishinomaki has grown to be the second largest city. It is geographically situated in the northeast of Miyagi, which is one of six prefectures that make up Tohoku, the northeast area of the main island of Honshu. The city is a port sitting right at the mouth of the Kitakami River, one of the biggest rivers in Japan. The eastern part of the city is hilly, and the western part in a plain, ideal conditions to auow for the balanced development of agriculture, fishery, industry and trade. Ishinomaki occupies an area of about 137 sq. km. with a yearly average temperature of 11.5°C. Its population is over l20,000 and it is also known as the <mother city> of the nine smaller towns that surround it. The city boasts one of the most modern fishing ports and fish markets in the East, which, along with the industrial port centered around a paper and pulp factory, is currently being rebuilt and improved to allow the berthing of 40,000 ton freighters. When you visit Hiyoriyama park you will experience a natural view. This view is very significant for this park. 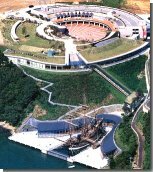 Besides this you will see other popular things such as an ancient castle,Kitakami River, the pacific ocean. For a botanical view you will see flowers such as Cherry blossoms, iris, and azaleas. This is lshinomaki's main sight seeing place. Parking is Available. This park is a very small mountain just east of the Kitakami River. This Forest Park offers you an array of land which can be used for recreational purposes, such as picnicking,outdoor cooking, bird watching.Other views include the summer flower that is famous here at Makiyama and that's the blue iris. You can see irises in full bloom. This park is free of disbursement. also there is many parking availabilities. This park is cuddled by the Kitakami River. Its locality is in the median of lshinomaki City.The narrow bridge and small ever greenery make a good atmosphere. You will have an allusive image of ancient Japan. Here you will see a large stone surface surrounded by water. This is also how lshinomaki received its name meaning "Wrapped Stone". This Park is ten minutes when walking. There is no parking. This building is one of numerous functions. This Center offers an assortment of things such as a historical museum an art gallery a concert hall sponsorship of special conference rooms. Also a famous sculptor's work who was born lshinomaki. For info, call 0225-94-2811 Ishinomaki Culture Center Adults:\200 H.S. students:\lOO E.S.J.H.S:\50 Opening/Closing Hrs. 9:00〜16:30(4:30) Also large parking available.This Park is free of disbursement also. This historical museum which exhibits ancient China wares has been operating since the Edo Era,which is (1603-1867). Here you can see some detailed ancient works from that period long ago. These masterpieces are located on the third floor of the Kankeimaru china shop. A fantastic space where you can learn the romantic history of sailing ships. A theater of virtual reality,featuring the Sant Juan Bautista in the dock,where you can experience the voyage taken 380 years ago. The park is modern version of an Italian garden with an exotic atmosphere. At the museum-like Keicho Mission display section,you are also sure to learn a lot about sailing ships. This was the first homemade sailing ship to successfully make two voyage across the pacific Ocean in 1613. The mission led by Tsunanaga Hasekura set sail for Rome from Tukinoura under the orders of Masamune Date,the war-lord of Date clan. The ship was restored by united efforts of the local shipbuilders in commemoration of the 380th anniversary of the mission and is now showing its magnificent figure as the last and greatest wooden vessel of 20th century. This is one of the exciting local summer festivities. Ishinomaki has prospered since the completion of the improvement of the Ishinomaki River,and the festival is held in memory of Magobei Kawamura who contributed greately to the work. 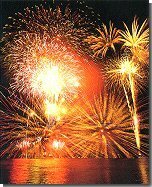 The festivites include boat race,parades and fireworks display which set off about 20,000 pieces and is known nationwide.